The Court was hearing an appeal challenging a judgment rendered in 2007 by Madras High Court, wherein, the Court had set aside the order of eviction passed by the Rent Controller. The appeal against this order was filed by the wife and sons of Mr. A. Radhakrishnan, to whom the suit premises were allotted by Tamil Nadu Housing Board. Mr. A. Radhakrishnan had executed a general power of attorney in favour of one Mr. V. Dhanapal and nominated him to administer and manage the suit premises on his behalf. The respondent, M. Chinniyan had taken the suit premises on lease rent from Mr. Dhanapal under a written lease deed dated 12.02.1989 for a period of 11 months. What followed was a suit filed by Mr. Chinniyan, seeking permanent injunction against Mr. A. Radhakrishnan and the appellants, restraining them from dispossessing him of the suit premises. During the pendency of these proceedings, Mr. A. Radhakrishnan expired intestate, leaving behind him the present appellants as his class I heirs and one daughter, Tmt. R. Kanjana. The appellants thus became the owners of the suit premises by inheritance and filed an eviction petition before the Rent Controller. The eviction was sought essentially on two grounds: willful default in paying monthly rent since 12.02.1989 and secondly, bona fide need for the use and residence of the appellants in the suit premises. The Rent Controller allowed the petitions filed by the appellants and directed eviction of Mr. Chinniyan from the suit premises. The judgment was confirmed by the Court of Subordinate Judge, Erode. Madras High Court however, allowed Mr. Chinniyan’s revision petition and set aside the order of the first appellate Court and also of Rent Controlling Authority. The High Court held that the petition was not maintainable because the daughter of Late A. Radhakrishnan, Tmt. R. Kanjana was not made a party to the eviction petition. According to the High Court, she being one of the co-owners of the suit premises was a necessary party to eviction petition. The High Court also held that the appellants had failed to establish the relationship of landlord and tenant with Mr. Chinniyan, as the tenancy in relation to suit property was between Dhanapal and Mr. Chinniyan. This order was challenged before the Apex Court, by way of a Special Leave Petition. 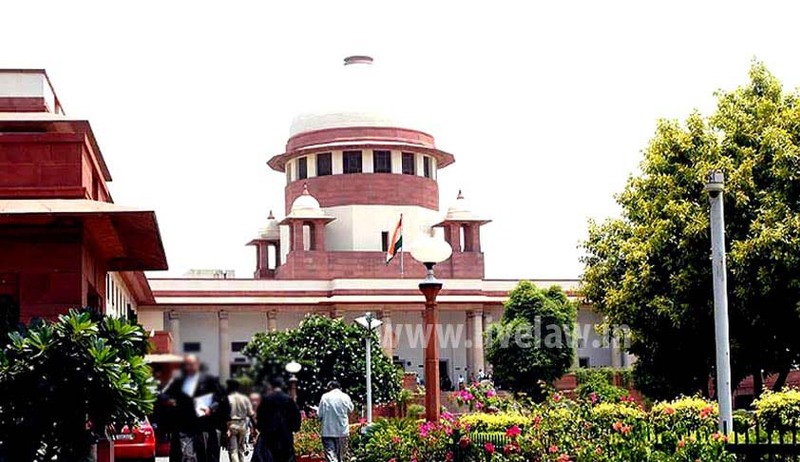 The Apex Court reversed the decision of the High Court, observing that the High Court erred in holding that the daughter of late A. Radhakrishnan was a necessary party to the eviction petition. This view, it held, was against the law laid down in the case of Dhannalal v. Kalawathibai Ors., (2002) 6 SCC 16. It also accepted the contention of the appellants that Mr. Chinniyan could not have raised this objection for the first time in the revision petition, because it was not raised in the Courts below. Further, the daughter having been later impleaded in the proceedings, this objection was not even available to him, the Court observed. It hence disagreed with the observation of the High Court that the tenancy in relation to the suit premises was with Dhanapal. The Apex Court allowed the appeal and granted three months time to Mr. Chinniyan to vacate the suit premises, subject to furnishing of the usual undertaking and on depositing all arrears of rent, as also deposit of three months’ rent in advance by way of damages for use and occupation. Topics : Dhannalal v. Kalawathibai Ors | Justice A M Sapre | Justice J Chelameswar | law relating to power of attorney | strength of power of attorney | Supreme Court of India | TMT. KASTHURI RADHAKRISHNAN &amp; ORS. Vs. M.CHINNIYAN &amp; ANR.